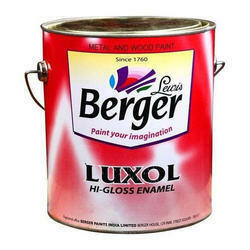 In order to cater the variegated demands of our precious clients, we are offering a wide range of Berger Enamel Paint. 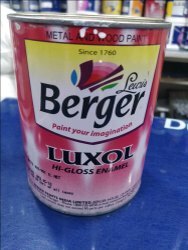 Backed by our rich exposure in this domain, we are offering a wide array of Berger Butterfly Enamel Paint to our valuable clients at very reasonable rates. Wood Primer is manufactured with a special type of synthetic alkyd binder and micro fine pigments along with extenders and different additives. It is an air drying primer for wood and its by-products, providing hard and tough film. It is free from heavy metals like lead, mercury and chromium.